I'm somewhat biased, but personally I see very few things quite as important as capturing moments in the park that take your breath away. To me, it doesn't matter if it's a moment with family, a landscape that exceeds expectations, or simply a photo with your favorite character. There's just something about Walt Disney World that develops an inherent sense of capturing every little moment in some way or another. In the past, I've always been hesitant to recommend, or even write about, putting a screen between you and the magic of the Disney parks. I say that for two main reasons. First and foremost, I hate seeing guests living through their phones. Social media is great and obviously I'm a huge proponent of fully utilizing it to better your vacation experience, but at a certain point you start to realize that when you set aside those things, your vacation tends to improve. During our last trip, despite really enjoying photography, I set aside one day of our trip as a day that was "photo free." Sure, I would have loved to capture specific moments of those days but the trade off in simply being "free" from distractions for a day made all the difference. Second, and quite similar to my first comment, is that I don't want guests to get so enthralled with sharing the Disney theme park experience online that they don't stop and enjoy the experience as it happens. As you stand in attraction queues, take the time to look around you and take in the details Imagineering worked tirelessly to create. While the fireworks burst above you in the sky, get the camera out from between you and the joy of seeing the experience unfold before your very eyes. Let the experience envelop you and the resulting feeling may exceed your wildest expectations. Our modern society is so caught up in sharing, streaming, and posting, that we often fail to enjoy what is happening as it is happening. I'm just as guilty, if not more guilty, of this than any other guest. At the same time though, I have to admit that there are a few photos that I consider quintessentially "Disney." They are the photos that every guest wants to capture, and while those are always great to have in mind when arriving in the parks, be sure to think a little outside the box along the way. Those "outside the box" ideas are what we're sharing today! Have you really even been to Magic Kingdom if you don't leave with a photo of Cinderella's Castle? Grabbing the photo walking down Main Street is something that has become a "right of passage" for first time guests and a legacy "must-do" for repeat visitors. 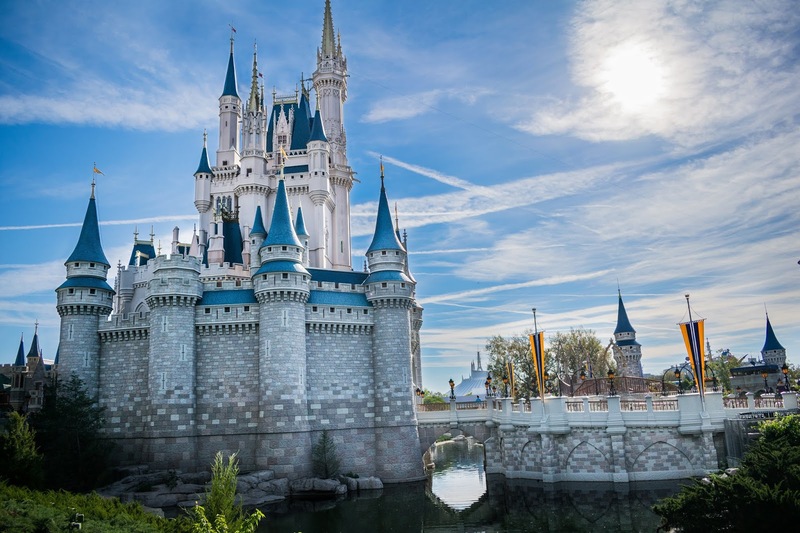 A picture in front of the castle is on countless mantles and in countless picture frames across the country but there's a few ways in which you can set your castle photo apart from all the rest. One, arrive to the park early and make your way up to right in front of the ropes blocking off each path up the side of the castle stage. Stand right against that rope and the resulting perspective shift may surprise you. If you have a slightly better camera, consider taking this same photo at night for an even more dramatic effect. For a second and equally unique perspective, use the path up the left hand side of the castle and you'll find a small cut in area with a bench. The backdrop of the castle in the middle of the morning with the sun rising over the peaks of the building is a near perfect backdrop for a wonderful picture. It's no secret that the Boardwalk Resort is very high on my list of favorite photo destinations at Walt Disney World. It is a difficult area to portray correctly and in perfect detail but it is the ideal place to capture something unique. No matter if you're shooting photos with a DSLR camera or an iPhone, the Boardwalk is the perfect place to take a few photos that will exceed your expectations. The manner in which the resort is lit, paired with the reflections off of the water, and the typically light late night crowds sets up for the perfect spot to take family photos (indoors or out). On top of that, it is an outstanding place to grab a slice of pizza or a funnel cake to enjoy as you watch a sunset or enjoy some street performers as you relax the night away. Pandora is the greatest challenge, but perhaps the most rewarding place to take photos in Walt Disney World. If you're not shooting with a DSLR camera, consider utilizing the photo pass locations to capture a high quality photo. 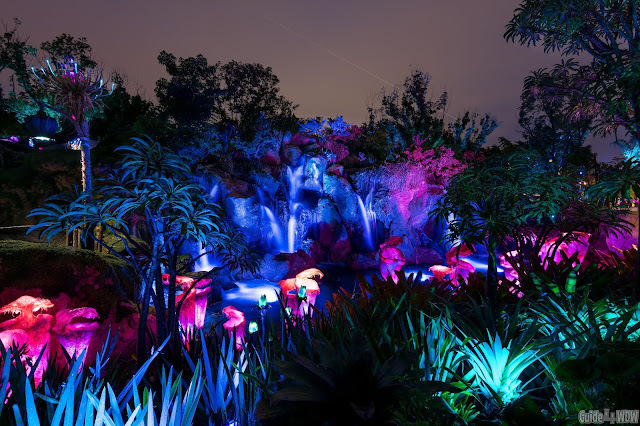 Camera phones don't quite have the capability to capture the details you may be wanting out of a photo in the near complete darkness of Pandora at night. During the day, Pandora is a treasure trove of little hidden waterfalls and interactive plant life around every corner. The possibilities are endless, but capturing this spot should be high on your list. It's a jaw dropping landscape and one that will exceed even the expectations of the most vivid imaginations. A ride on the carousel at Walt Disney World is right up there in the rankings of "must-take" photos as Cinderella's Castle. It's an attraction that every guest, young or old, can enjoy and is a distinctly iconic and classic piece of the true "Disney" experience. Nothing has stood the test of time quite like the carousel and it is, without a doubt, a highlight of so many guest's days in the Magic Kingdom. If I had to share one tip for this photo, it would be to capture something on the attraction or possibly after leaving the attraction at the nearby "Sword in the Stone" display. Nothing screams "I'm at Disney!" like a monorail photo. 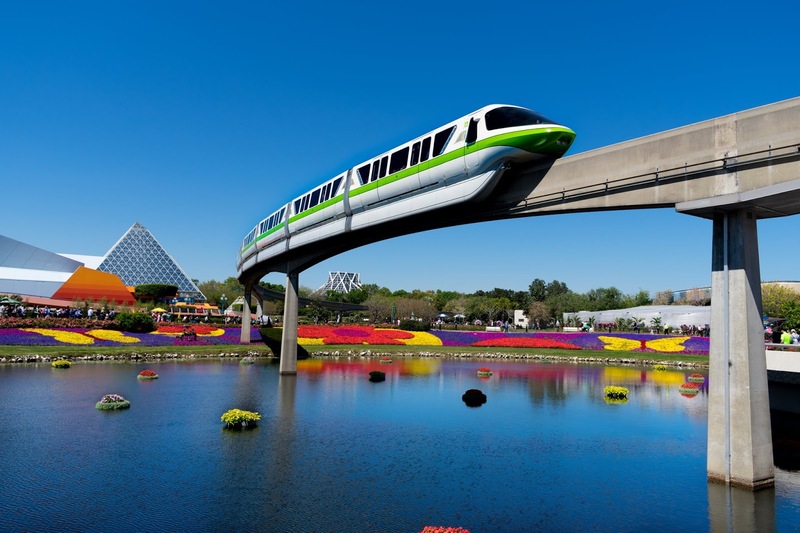 Monorails are quintessentially Disney and one of the main differentiating factors between Disneyland, Walt Disney World, and the international parks. Some of the very best locations to photograph the monorail are in Epcot. If you're looking for a great angle, consider walking over to the Imagination Pavilion. If you're lucky enough to be in the parks during Flower and Garden Festival, you can catch the monorail as it passes over one of the most expansive gardens of the event from multiple angles between the World Showcase and the two branches of Future World. One last spot to consider is from near the former Universe of Energy attraction. If you time it just right (monorails move through about every 15 minutes) you can get both the monorail and Spaceship Earth in the photo. As a word of advice to DSLR shooters, if you want to capture the monorail in motion in low light or at sunset, you'll want to shoot at a relatively fast shutter speed to freeze the vehicle and avoid motion blur. The World Showcase pavilions are perhaps the closest many of us will come to touring the World. However, that's not necessarily a bad thing. The realistic nature and attention to detail in these country representations are truly mind blowing at times. 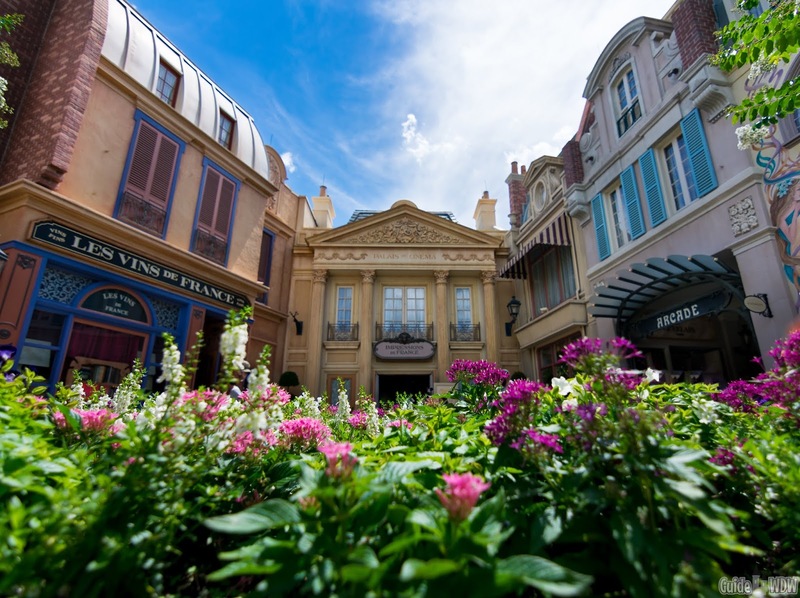 Explore all the way back into the pavilions and look for what other guests may entirely overlook. Participate in or watch the "pick a pearl" demonstration in Japan or the balancing act in China to capture a piece of the Magic that many guests simply look right past or don't take the time to enjoy. Perhaps the best example of a picturesque pavilion that gets completely overlooked is Canada. At the rear of the pavilion you'll find a shockingly picturesque garden and a waterfall that many guests have no idea even exists. Don't be afraid to spend some time exploring and you may be surprised what photo opportunities you may come up with. In the last few years, social media has blown up the quintessential "food photo." At this point, it almost seems like a requirement to find your favorite snack, find an iconic backdrop and snap a photo. Ironically, I am terrible about taking photos of food... mostly because I tend to take a bite of the food before I find a place to take the photo. Disney Springs is what I see as one of the most underrated photo locations at Disney. Every once in a while you'll see photos shared from this area but the springs themselves rarely get the attention they deserve. 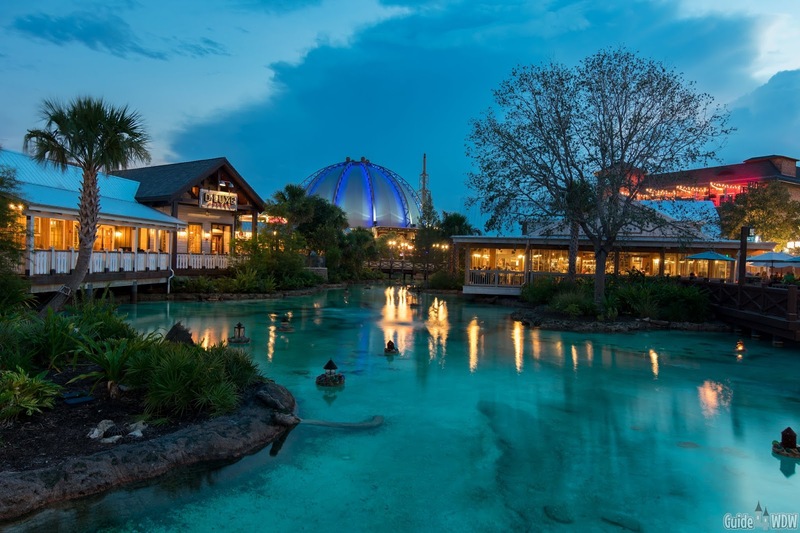 The crystal blue water coupled with the soft glow of the lights surrounding the springs creates a truly picture perfect photo spot as the sun sets and day transitions to night. When you couple that backdrop with the incredible food and a warm spring or summer night, you've developed a night to remember. At this point in the list, you've likely noticed that I'm a big proponent of trying to find photo spots that not everyone has tried time and time again. There's something to be said for a unique view or a creative composition when it comes to landscape photos, but it also carries over to family photos in so many ways. Next time you're at a Disney resort, take the time to explore before getting your family set up for the perfect family photo. 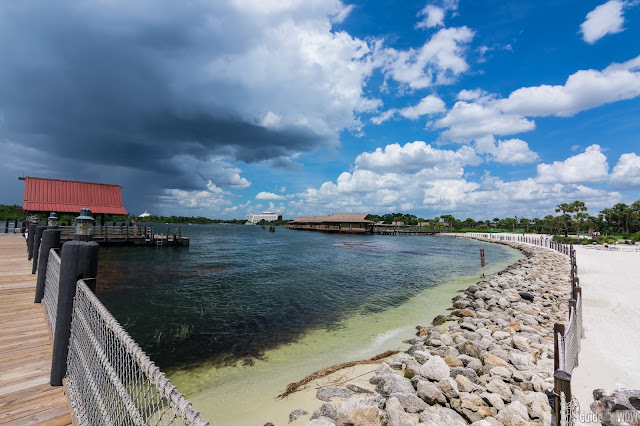 Personally, I recommend the dock at Magic Kingdom resorts or even possibly a tucked away staircase or waterfront backdrop. The possibilities are endless, so don't settle for a simple lobby photo, or possibly supplement that photo with something out of the ordinary. Sometimes the most unexpected situations yield the most memorable family photos. Last, but certainly not least, try something new. I know that sounds vague and it is intended to be. My suggestions on this list are simply what come to mind for me. 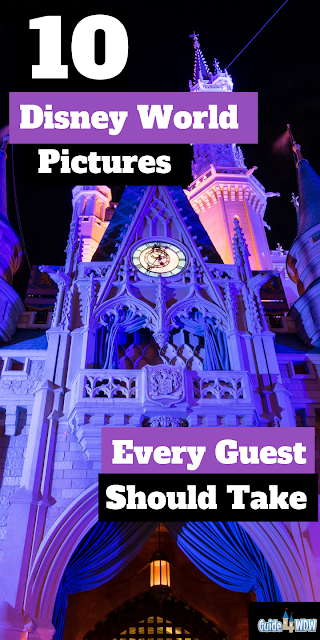 You may have an entirely different set of goals and desired photos when you tour the parks and that's ok! In fact, it's the best way to go about exploring your photo possibilities. Above all else, try something you never have before. Capture the simple moments and the moments that you'll look back on years from now and think about how incredible that moment was. It doesn't matter what the subject of the photo is, but rather what that photo means to you. I have to say that is the key to this whole list. Don't get caught up in what everyone else is doing, but make an effort to capture what you love about the Disney experience. 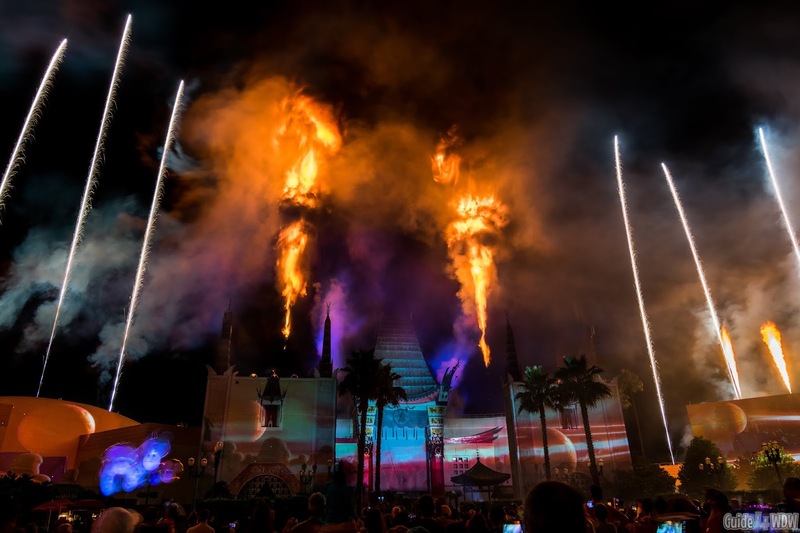 Long story made short, find ways to get creative with your photos from the parks. Capture what is important to you and what you want to remember for years on end. The old sentiment is true, a picture is worth a thousand words. It's a way to capture a memory but it's not a replacement for the memory itself. 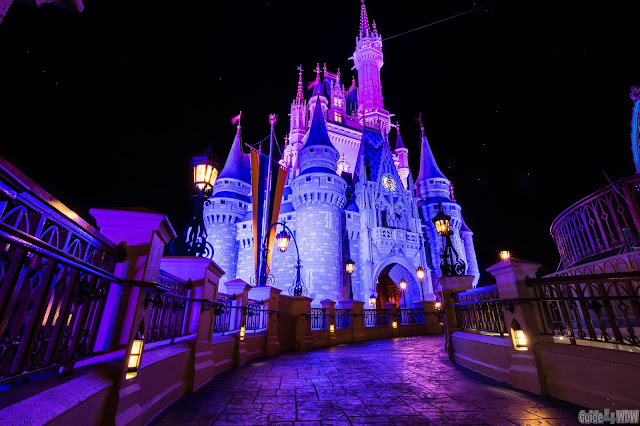 One of my absolute favorite memories of the parks was a few years ago when Wishes was still over at Magic Kingdom each night. As we stood there on the left hand side of Main Street, leaning against an old park map sign before the hub remodel, I can remember making a short video. After making the video, on an early iPhone, I realized what I was missing in that moment and put the phone away. It was an incredible moment standing there with family and one that I can vividly remember looking around me and seeing the joy on the guests faces. To this day, I have no idea what became of that video, but that simple memory of glancing over at family and at those around us will be a moment I'll remember forever. It wasn't about the video, but rather the moment as it happened. Some things just don't translate in photos or videos and those feelings in the moment are something that you simply can't replicate. Enjoy taking those videos or capturing those moments in photos, but make sure it's priority number two. Enjoy every minute!